Premium Ads will be placed at the top of the list. Visitors will see your Ads first. 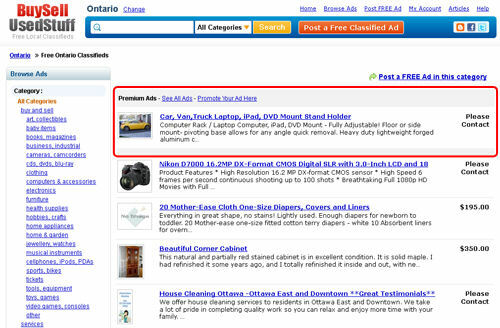 This feature also places your Ad in the top of the category listings. These Ads get the most responses from people since they are positioned at the most visible spot among all other Ads. To make your ads visible in all cities, Select the following check box while posting your ad.